West Bengal School Service Commission has issued the call letters for Teachers Eligibility Test (TET) 2015 Exam which is going to be held on 16.08.2015. The TET 2015 exam will be conducted on a single day which is August 16. So, download the admit card now. How to download SSC TET 2015 Admit Card? Did you face any problem or difficulties while downloading TET admit cards? If so, feel free to share your problem here. We will try our best to resolve it. 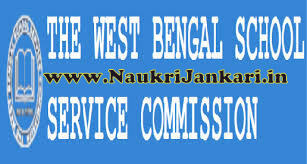 0 comments for " Download your WB SSC TET 2015 Admit Card "